The notion that Aaron Judge would have to eventually make an adjustment this season isn’t all that surprising. What comes with being the largest, most physically intimidating player in the game is also the largest strike zone, the largest area within which pitchers and opposing game-planners can work. And the counter-offensive to Judge’s remarkable first half has perhaps begun. Even after his home run Monday, Judge had recorded just a .170/.339/.360 slash line in the second half entering play on Tuesday. Consider some facts regarding Judge and the fastball. From April though June — during which period he was arguably the best baseball player on the planet — Judge’s expected wOBA against fastballs was .479 according to Statcast data via Baseball Savant. Since July 1, however, it’s been just .372. Overall, the MLB average wOBA for the season is .344, which means Judge has fallen from elite status against the fastball in the first half to merely slightly above average in the second. So what’s going on here? Are pitchers climbing the ladder more with high-spin four-seam fastballs? That certainly appears to be the fashionable counter measure against members of the air-ball revolution, and Judge is a fly-ball hitter. 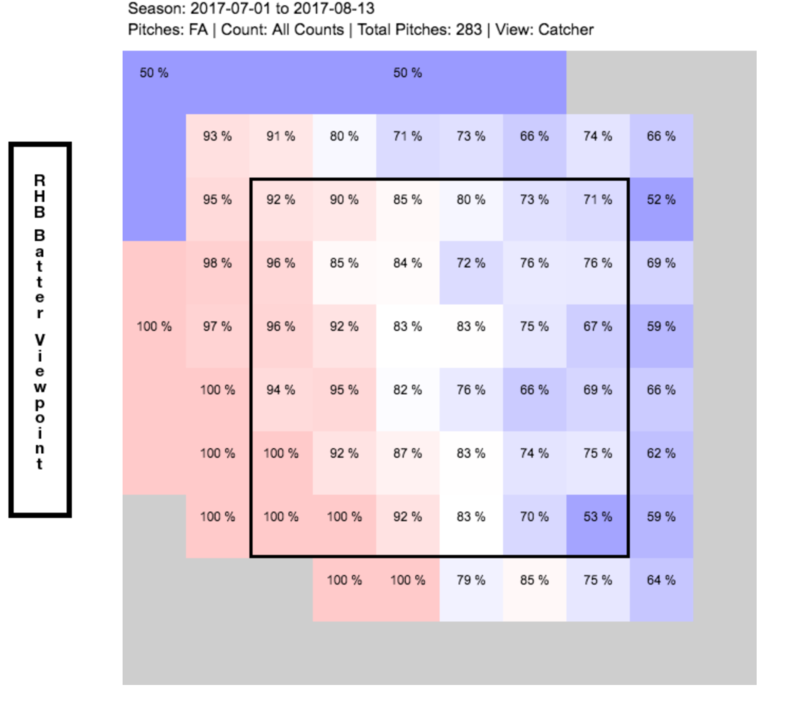 In the first half of the season, 10.9% of pitches Judge saw were fastballs up or above the strike zone, according to Baseball Savant’s detailed zone. In the second half, that number had jumped to 14.5% entering play Monday. Pitchers are climbing the ladder against Judge. But it’s not just the high four-seamer against which Judge has been ineffective in the second half. It’s a number of four-seam fastball locations. Despite his relative youth, Judge has recorded above-average numbers against both curveballs and changeups. While he’s also been well above average against fastballs this season, it would make sense to challenge a hitter who possesses such long levers with velocity and high spin. 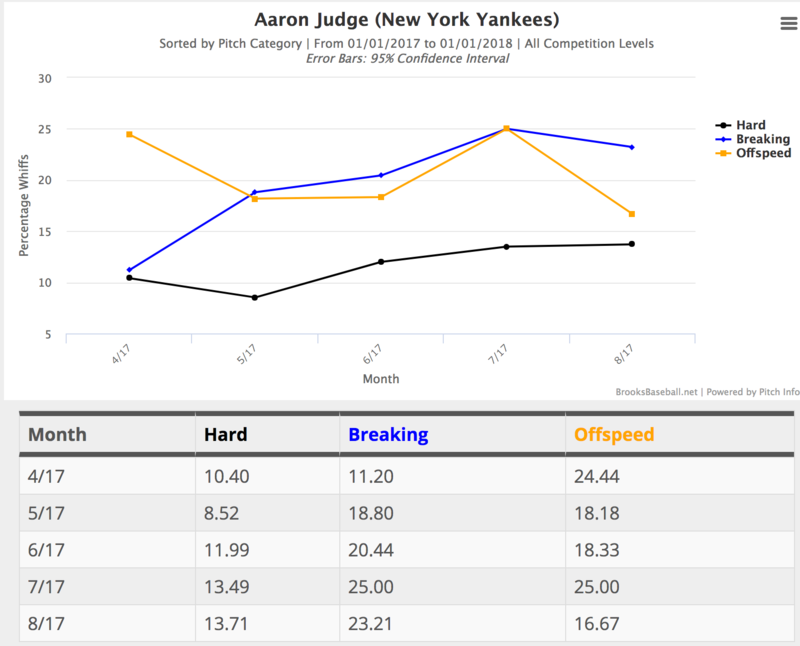 What’s interesting is not only that fastball usage has generally increased against Judge, nor simply that Judge has faced his highest average fastball velocity of the season in August (94.4 mph) as his struggles deepened, but that the spin rates on the those fastballs have also increased. In the first half, the average spin rate of four-seam fastballs against Judge was 2,284 rpm. 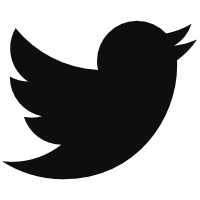 Since July 1, it’s 2,319. Give our current understanding of things, it doesn’t appear as though pitchers can manipulate four-seam spin. Their spin is their spin, as this author understands it. So perhaps Judge has just seen better spin. Whatever the reason, Judge’s swing-and-miss rate against four-seamers has increased from 9.1% in the first half of the season to 11.6% in the second half. And, again, it’s not just the high fastball against which many thought Judge might struggle. It’s the high and away fastball. Not only is Judge seeing more fastballs up, but the percentage of fastballs away and away off the plate has jumped from 18.4% in the first half to 22.3% in the second. While his strikeout rate has been inching up throughout the season, Judge has actually made some improvements against offspeed and breaking stuff in August. Nevertheless, his whiffs against the fastball continue to slowly climb, as we can see via this Brooks Baseball chart. Judge’s second-half struggles could just be the result of a rookie player contending with fatigue. But pitchers are pitching him differently. And there is something else partially related to the fastball working against Judge: the strike zone. Back on June 7, I looked at how Judge’s height might be hurting him on calls lower in the strike zone. Over at ESPN on Sunday, Mark Simon examined how the called strike zone against Judge has changed dramatically in the second half of the season. Dealing with this is a challenge for anyone, but it’s especially difficult for someone whose strike zone is as big as Judge’s. It’s just another adjustment that Judge has to make as he battles through the second half of the season. So not only must Judge adjust to pitchers attacking him in different ways, but now, also, he must deal with an evolving strike zone. 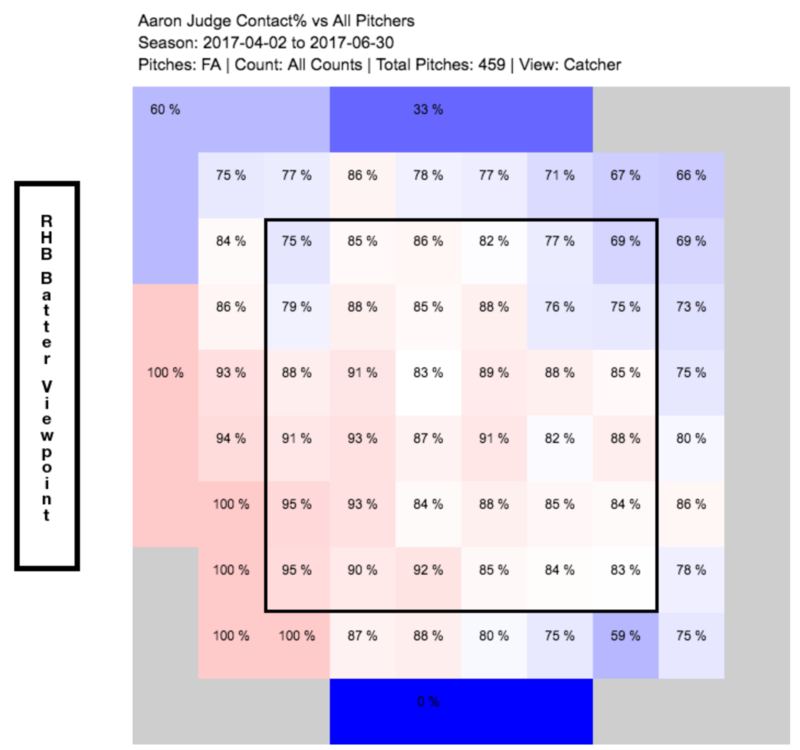 Perhaps umpires were made aware that they were calling an unfair zone against Judge as it relates to lower portion of the zone and they have adjusted. We’ll have to see how Judge responds. The good news? He’s a Statcast God and he made remarkable improvement from his first exposure to the major leagues last year to this season. The bad news? The game’s biggest frame also comes with the largest and most exploitable zone. But baseball is a game of adjustments and Judge has already shown to be quite capable of making them. We hoped you liked reading Aaron Judge Might Need Another Adjustment by Travis Sawchik! Judge will be fine. He adjusts at every level and will end the season running away with the MVP. I’d put the odds under 20% of him winning MVP. Sale is the obvious choice. Next is Altuve, and then Trout has about the same odds as Judge. Altuve is the obvious MVP choice. Sale is the obvious choice for those who don’t understand MLB. Well thank goodness we have you to explain MLB to the rest of us fools.